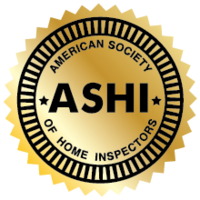 ASHI's Standards of Practice, Code of Ethics and required membership examinations for ASHI certification are nationally recognized as the standard for home inspection. ASHI's public relations program provides more than 200 million potential readers with information about ASHI certification, ASHI benefits, ASHI membership and the home inspection profession. Finding a responsible and trustworthy contractor is challenging, but you'll find that Basement Systems dealers adhere to simple guidelines of respect, integrity, and responsibility. Members of the National Radon Defense network of radon professionals have demonstrated excellent customer service and high-quality radon services. National Radon Defense dealers receive on-going training and have access to the best radon measurement and mitigation systems in the industry. At NEFBA, we are proud to hold the status of the state’s largest builders association. Backed by our 70-year-history of networking, community outreach and industry development, NEFBA’s primary goal is to improve the quality of life for the citizens of Northeast Florida. Our members are dedicated to that same goal. Here are the ways our organization works toward the advancement of the community where members work and live. The Chamber believes in effective grassroots advocacy, powerful partnerships, and well-informed and politically engaged communities. The Chamber is the business community's voice in the halls of government for policies and laws that promote business enterprise and a strong economy. While members certainly benefit the more they get involved in the Chamber's many offerings, the Chamber's staff and committees are continuously working behind the scenes to provide a return on investment to its members through its advocacy. You can focus on your business, knowing your Chamber is keeping a pulse on the issues that you, and determining what we can do to help our business community thrive. BNI provides a structured and supportive system of giving and receiving business. It does so by providing an environment in which you develop personal relationships with dozens of other qualified business professionals. By establishing this "formal" relationship with other people, you will have the opportunity to substantially increase your business.